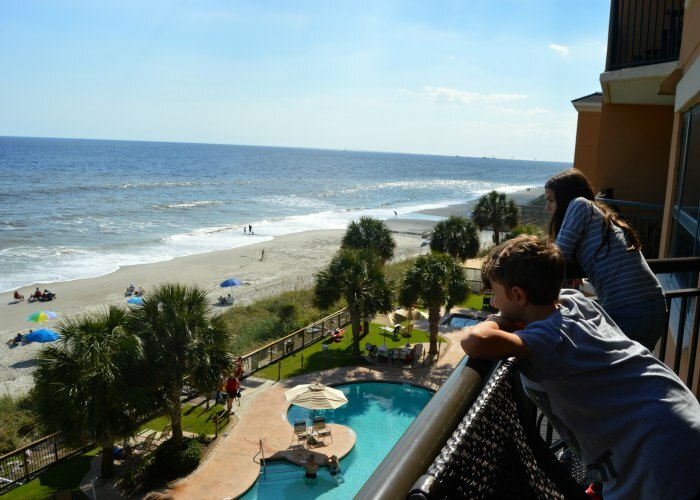 Are you planning a family trip to Myrtle Beach? Good! I am sure you will love it. I went and explored it several years ago in September and found out there are lots of fun things to do in Myrtle Beach. I went again this October in partnership with Visit Myrtle Beach and I absolutely love everything about Myrtle Beach from the beach itself to the great food to the attractions. 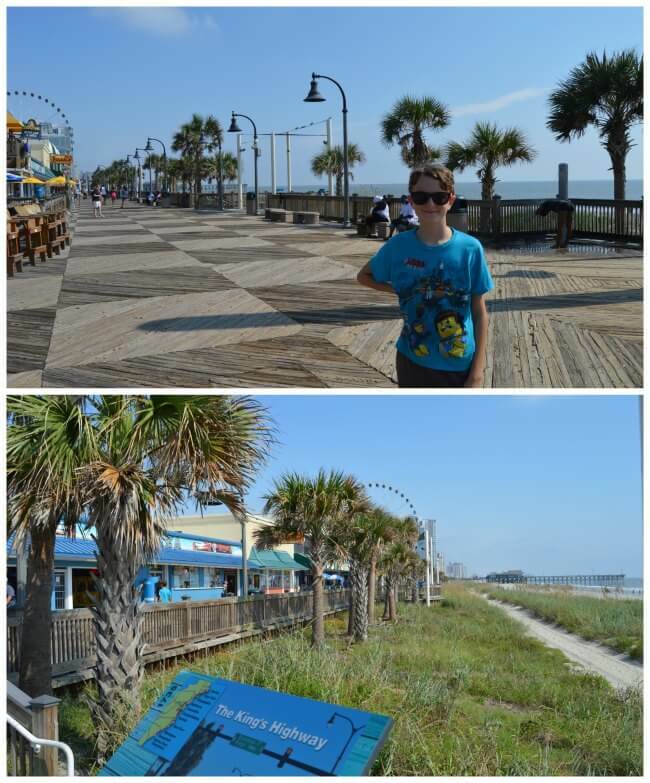 This time I brought my family with me so we scoped out some really fun Myrtle Beach Attractions And Entertainment that are perfect for families and I will share those with you here today. Since this is a beach vacation, I have to start with the obvious beach time but I want to build on that by adding pool time. 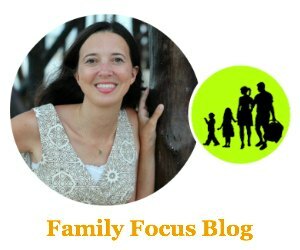 I stayed at the Island Vista Resort and it was truly an ideal family beach hotel. The hotel itself was perfect for families because they offer one-bedroom suites up to four-bedroom suites, (most with full kitchens, washers/dryers, and large in-room dining tables to make it a seamless home away from home for your family) and all rooms offer large oceanfront balconies! 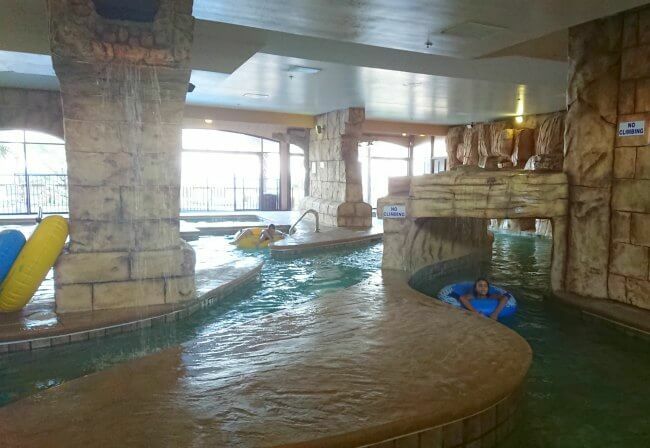 But what’s more is they offer outdoor pools and jacuzzi with amazing beach views and indoor pools, hot tub, and lazy river so you are guaranteed lots of fun no matter the weather! 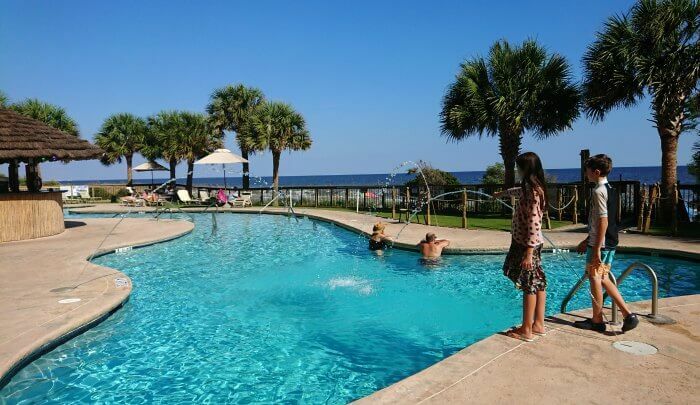 These are the type of Myrtle Beach accommodations that will leave your whole family completely happy. 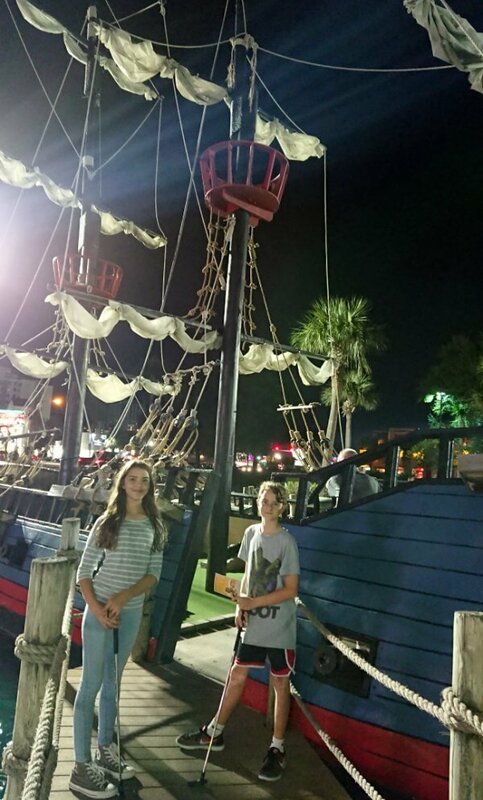 In fact, with such sweet digs, you may have to pull them away to get them to go out and explore the rest of the Myrtle Beach Attractions And Entertainment! Don’t forget to catch a beach sunrise and or sunset while you are there! The Neverland-inspired courses delight mini golfers with various holes depicting Peter Pan, the Darling Family, and of course Captain Hook. You can take one course to travel into the Skull Rockspot or the other to see Tinkerbell and pass through a pirate ship! So many cute fun props and all kinds of fun challenging trick shots. 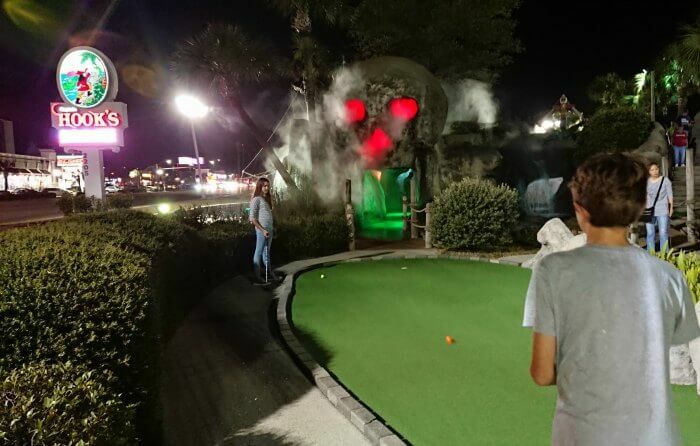 Captain Hook’s Adventure Golf is open till 10 pm so you can can enjoy some night time Myrtle Beach Attractions And Entertainment with your family. This popular, 312-acre park includes a nature center inhabited with snakes, turtles and marine animals, as well as a backyard wildlife habitat featuring a captivating butterfly garden and birdhouses. My kids got to hold a sea urchin from the tanks! 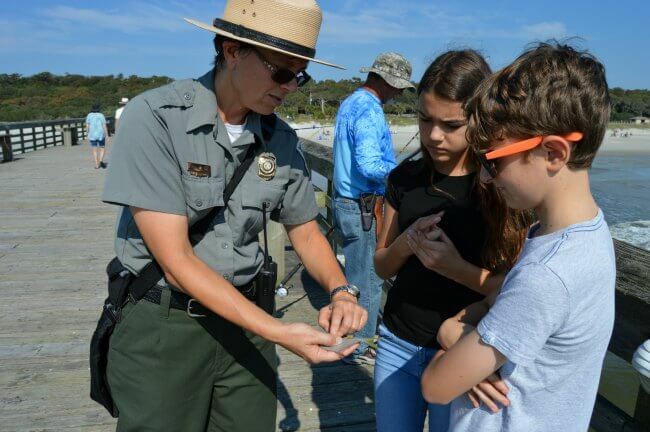 There are lots of scheduled nature ranger talks and we loved our tour of Myrtle Beach State Park with Ranger Ann. 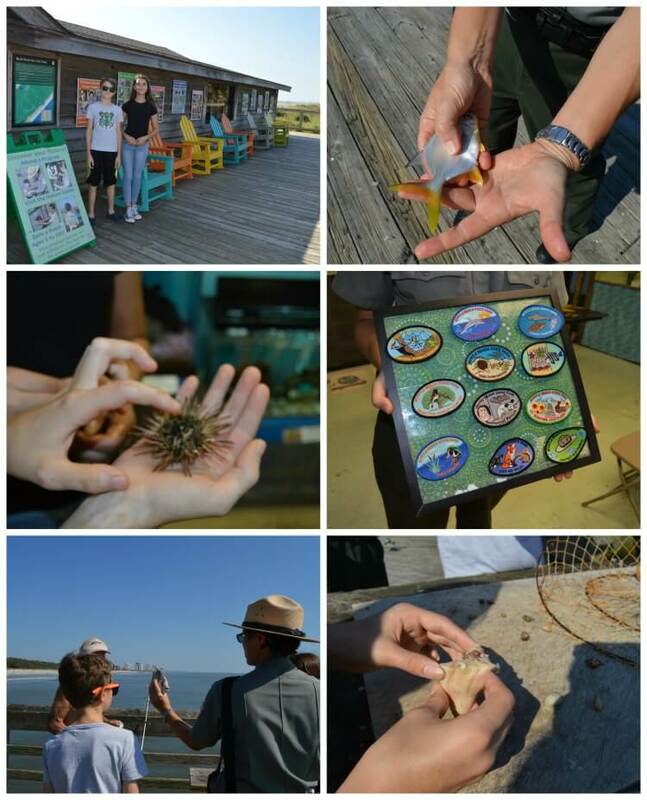 We learned a lot about the local wildlife and we got to see so many species of fish being caught right on the pier as well as pull up some crab traps. My kids loved getting to hold all the ocean hermit crabs and learn about how they switch shells. Kids can also earn badges while they are there! 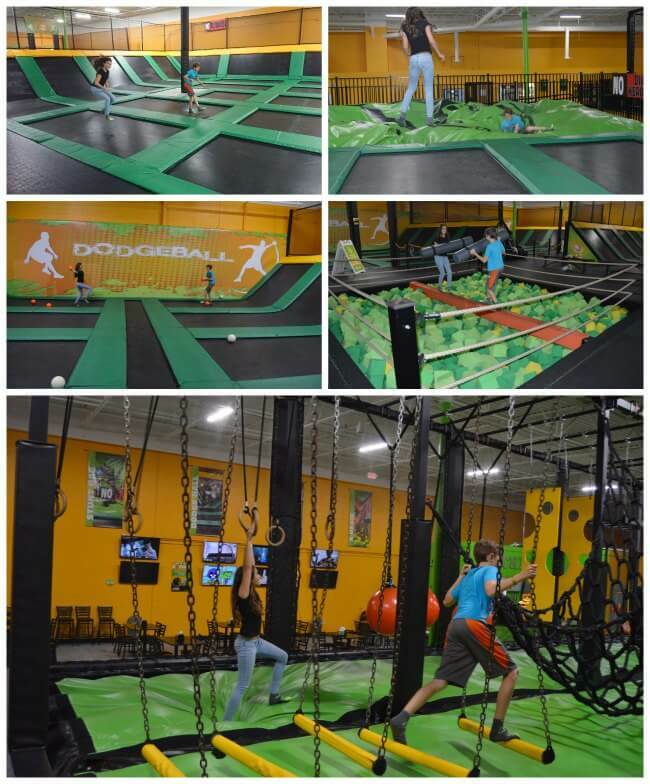 Rockin’ Jump is an indoor trampoline park where guests of any age can soar in open jump arenas, dive into pools of soft foam cubes, play trampoline dodgeball, do flips and somersaults, race through parkour courses, and battle it out over a foam pit. My kids had a fantastic time and it was a great work out for them too! It is so nice to see kids engaged in active play these days. It is also a great way to stay out of the heat and sun for a little while during mid day. You’ll be glad you fit this into your Myrtle Beach Attractions and Entertainment for your family. This was truly fantastic and should be top of your Myrtle Beach Attractions And Entertainment list for the whole family. I mean there are pirates and boats, and singing, swinging, swimming, diving, climbing, bouncing, dancing, flipping, and even sea lions!! I knew my son would love Pirate’s Voyage but so did my daughter and so did I. 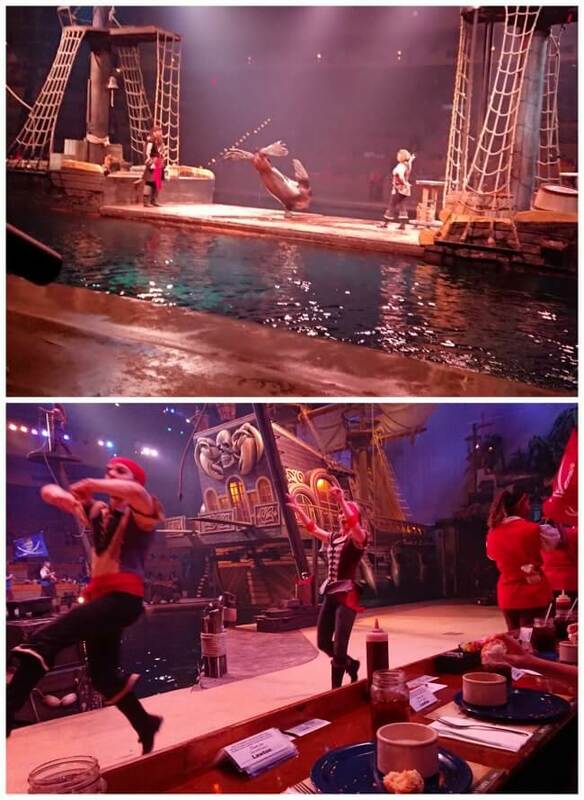 Really a super fun dinner theatre-style show with an interactive battle between pirate crews while you feast on a four-course meal with unlimited beverages. The 1.2-mile-long Myrtle Beach Boardwalk is packed with family-friendly gift shops, restaurants, soft serve ice cream shops, and arcades. While you can get great views from the promenade you can also ride the SkyWheel (see below) for stunning views. This will take way more time than you think! This place is huge and full of really cool fun gifts. My son picked up some beach toys and my daughter got these great sea turtle earrings to remember her trip by. I loved the sea shells and the t-shirts. We did this in the Gatlinburg and it was so interesting! My son really wanted to do it in Myrtle Beach but we couldn’t squeeze it in on our short trip. 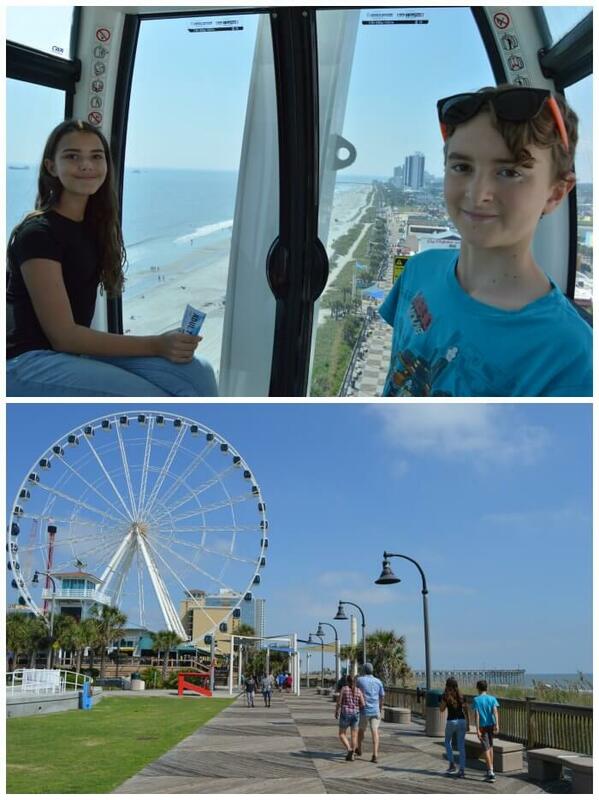 The SkyWheel is an another must on your list of Myrtle Beach Attractions And Entertainment. The observation wheel overlooks the Atlantic Ocean and offers 42 glass-enclosed, climate-controlled gondolas that seat up to six people. Don’t worry, they spin you around a few times so that you have plenty of chances to snap photos. If you are looking for some Entertaining Eats in Myrtle Beach that have great views, great vibes, and of course, great eats, try this list of best restaurants in Myrtle Beach. Have you ever been to Myrtle Beach? What are your favorite things to do in Myrtle Beach? 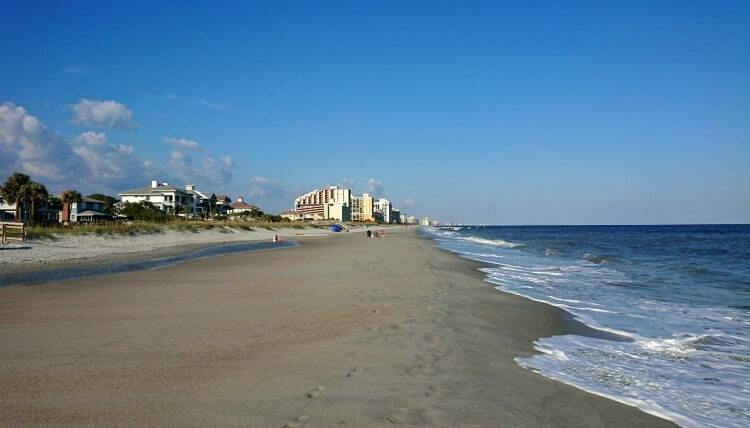 Myrtle Beach is a top family vacation everyone will love. 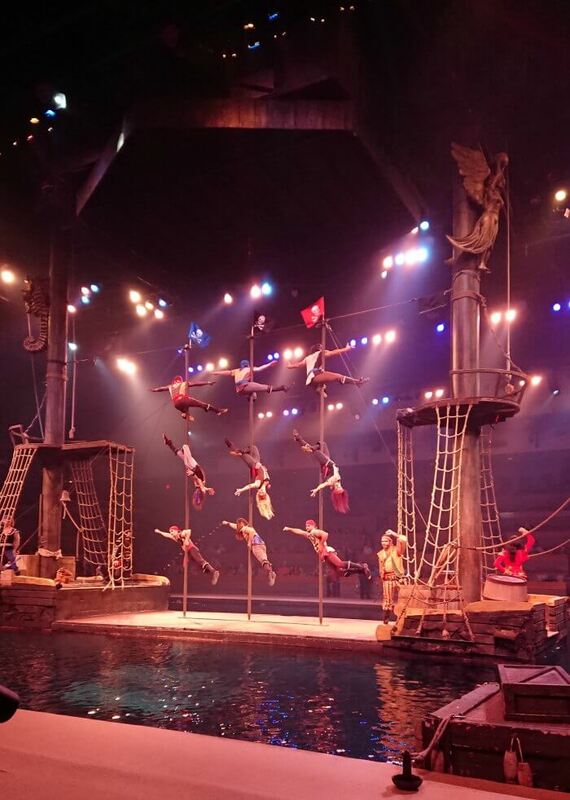 Which of these Myrtle Beach attractions and entertainment ideas appeals to you the most?